The Elton John AIDS Foundation (EJAF) believe that AIDS can be beaten. They act on this belief by raising funds for projects, and also by speaking out with honesty and compassion. Founded in 1992 by Sir Elton John, the Elton John AIDS Foundation is one of the world’s largest HIV grant-makers. With offices in London and New York, The Elton John AIDS Foundation has raised more than $300 million for the treatment and prevention of HIV/AIDS. 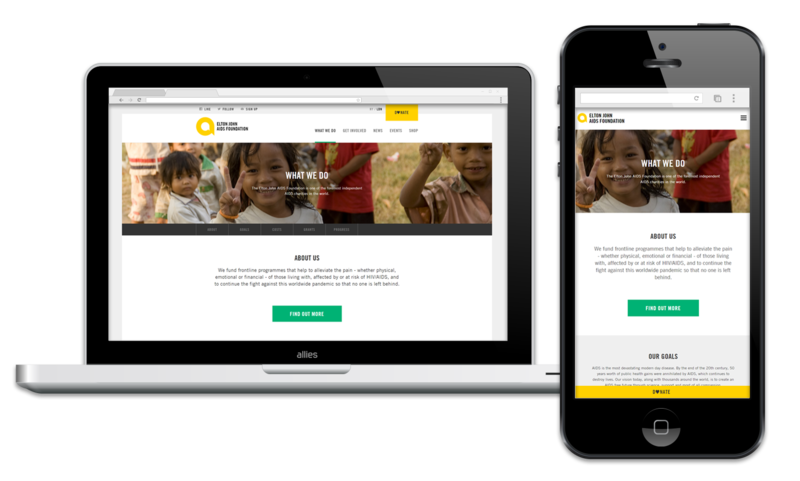 EJAF recently re-designed the donations page on their website to make it more engaging, easier to use and drive more donations for the charity. 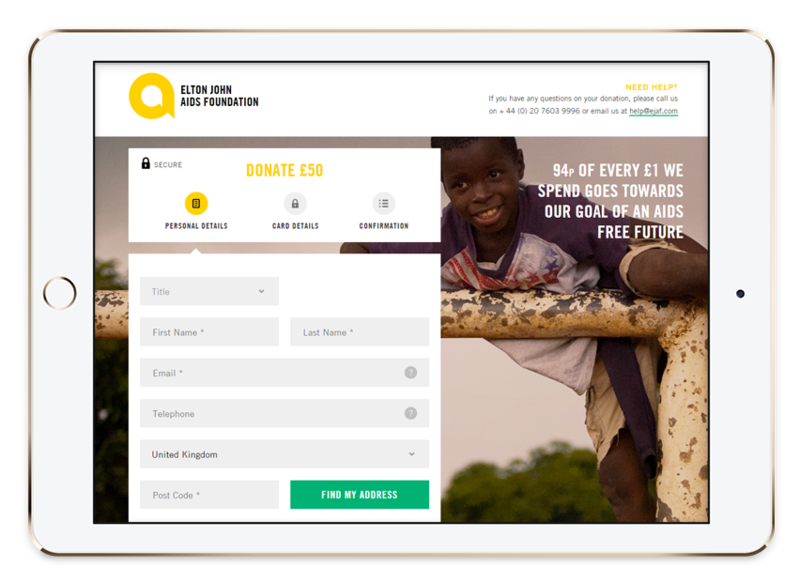 Using PostCoder to increase donations. The impact of PostCoder on donations to EJAF is being carefully measured by James and his team. World AIDS Day is held on 1 December each year and is an opportunity for people worldwide to unite in the fight against HIV. Follow us in showing your support by donating here. PostCoder integrates seamlessly with online forms, CRMs, finance systems and payment gateways, and is updated daily with the latest data from Royal Mail.